Mixing, loading, transferring, or applying pesticides. Disposing of pesticides or pesticide containers [not including empty and cleaned containers]. Handling opened containers of pesticides. What protective measures are required? Handlers must suspend applications if workers or people are near pesticide application equipment (in the application exclusion zone) during applications. Keep workers out of areas that are under a restricted-entry interval (REI), with a few narrow exceptions. Protect early-entry workers who are doing permitted tasks in pesticide-treated areas during an REI, including special instructions, duties and personal protective equipment (PPE). Monitor handlers who are using highly toxic pesticides. Provide and maintain required PPE. If a pesticide label requires a respirator, provide the handler with a medical evaluation, fit test and respirator training. What mitigation measures are required? Make emergency transportation to a medical care facility available in case of a pesticide injury or poisoning, and provide information about pesticide(s) to which the person may have been exposed. Pesticide safety training for workers and handlers (see below for latest revisions). Pesticide applications on the establishment. Safety data sheets (SDSs) for pesticides applied on the establishment. Pesticide safety information (poster) with emergency information.- Access to labeling information for pesticide handlers and early-entry workers. Notification to workers about pesticide-treated areas so they can avoid inadvertent exposures. Information exchange between agricultural employers and commercial pesticide handler employers. What Do the Newly Expanded Training Provisions Require? “Where and in what form pesticides may be encountered during work activities. A worker who will enter a treated area before the FIFRA-specified post-application entry restriction time must receive training before making an entry, and employees who enter within 30 days after the entry restriction time must receive training before the 6th day of entry. WPS also includes requirements for trainer qualifications, for delivery of information, and for record keeping. 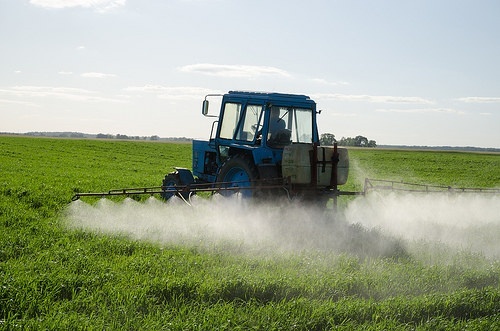 “Format and meaning of information contained on pesticide labels and in labeling, including safety information such as precautionary statements about human health hazards. Routes by which pesticides can enter the body. Routine and emergency decontamination procedures. WPS also includes requirements for trainer qualifications, for delivery of information, and for record keeping. Does the organization conduct activities in areas where FIFRA-regulated pesticides are applied? Does the organization use the 'safe harbor' training materials provided by EPA and PERC?